The City of Lakes Chorus has been dazzling audiences in the Minneapolis / St. Paul metro area and around the country since 1952. We are an award-winning chorus of approximately 100 voices with a long history of excellence. We've placed 1st in every Regional competition since 1967, and have placed as a top 10 finalist in 17 of the 20 International Competitions since 1971. The City of Lakes Chorus enjoys performing at our annual shows and competitions. We also perform at community events, and offer Singing Telegrams around Valentine's Day. If you're looking for a unique musical experience to liven up your event, please check out our Book Us section. Musical education helps feed our passion to perform. Vocal instruction is integrated into all of our rehearsals, and is a very important component of the chorus experience. So whether or not you are a novice or have been singing for years, the tools to succeed are made available to everyone. In addition to rehearsals, a few times a year, we hire a master in the art of barbershop to teach us some tricks of the trade. 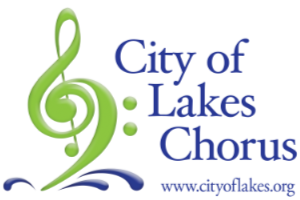 In the spring, City of Lakes Chorus participates in the Region 6 chorus competition. Competitions are an excellent opportunity for quartets and choruses to perform for each other, and receive feedback from the judges. The winners of the Regional competition, in both quartet and chorus categories, are invited to participate at the International Competition which is held in the fall. 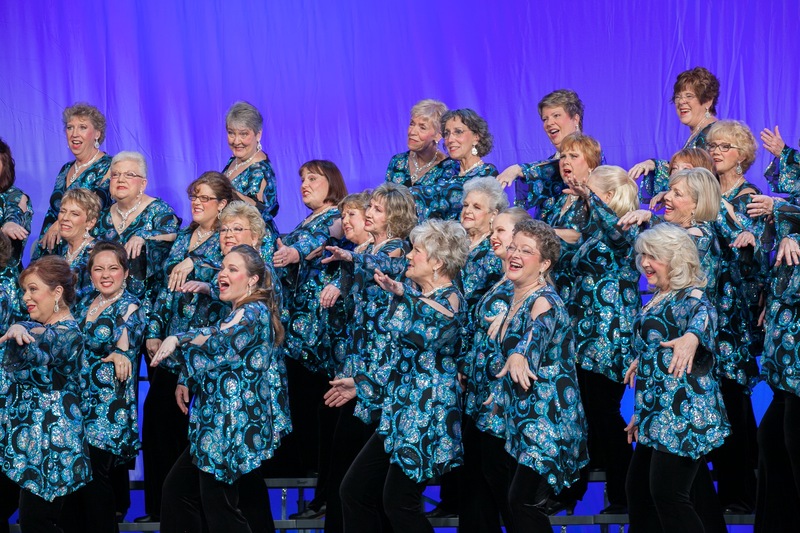 City of Lakes Chorus is a non-profit organization and a chapter of Sweet Adelines International, an organization of approximately 30,000 members worldwide, headquartered in Tulsa, Oklahoma. Learn how to become a member of City of Lakes or join us for a rehearsal.